Berlin show at Wuhlheide was special for many reasons. It was concerned to R.E.M., for R.E.M. 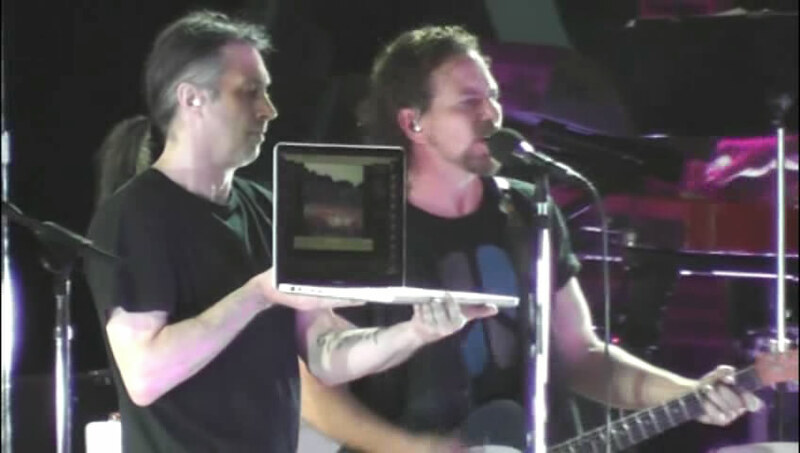 band members Peter Buck and Scott McCaughey (their live collaborator for many years) joined Pearl Jam on stage for "Kick Out The Jams", as well as Eddie Vedder around this date joined R.E.M. in Berlin studio and recorded back vocals for their song "It Happened Today" from their brilliant farewell album "Collapse Into Now". 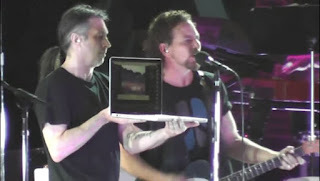 The song "It Happened Today" was performed live by Pearl Jam on Sept. 21, 2011, in Calgary, right on the day when R.E.M. announced their breakup. On the 30-th of June, exactly ten years ago before the Berlin show, the Roskilde tragedy happened, and this show was dedicated to the memory of nine killed fans and to their families. After "Black" Eddie hardly holding his tears addressed the audience with a speech and then invited for a moment of silence, and then the band played "Come Back". A guy with a notebook was filming the show during "Unthought Known". This is an audience multi-camera video of the full show, by BJ. Can you put the dvd version in another mirror, please? Ok, I'll do it. But why is rapidgator bad for you? I don´t know why it´s the exact problem, but the download stopped in some point and I can´t download all the file, so it´s piss me off, but I don´t why just Rapidgator. Hi! The link does not work,please,help me to download the DVD. thanks! All links reuploaded. Sorry for the delay!